Overtime all of your appliances will likely breakdown or require service. 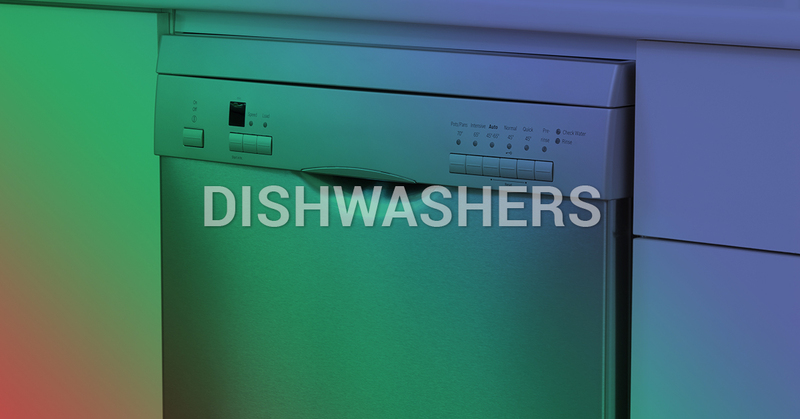 At Air Nation, we’ve worked with numerous brands of dishwashers, and we’re happy to provide a solution for your appliance issues. Whether you need a minor part or a serious replacement, at Air Nation we tackle it all. We set the industry standards in appliance repairs with our highly-trained and educated service technicians. If your dishes are coming out less-than-clean or a puddle of water collects on the floor after it has been used, you may need dishwasher maintenance. You may be able to mitigate the issue yourself by checking a few things out. If your dishes aren’t coming out clean and they’re left stained and spotted, consider how it’s being used. Are you overloading the dishwasher? Try getting out the user manual and seeing if there is a specific way you should be loading it. If that isn’t the root issue, perhaps your dishwasher’s spray arm needs a little TLC. Remove the spray arm pieces and clean it and the surrounding area. Also make sure the spray arm is not being blocked and can move freely in the cleaning cycles. Do you have hard (highly mineralized) water? The hard water can can leave a film on the dishes, and sometimes even stain them. You may need to use a rinsing agent and investigate further how to fix this issue. If water is puddling after the dishwasher has been used, it may just require adjusting the door. Inspect your door and make sure it latches and seals tightly, if you can wiggle it around, it’s not tight enough. Most dishwashers have a latch plate that is adjustable, so try tightening it this way in small increments until the door fits snug. 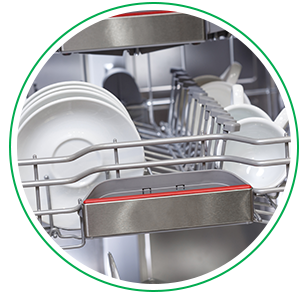 Once you’ve had a chance to troubleshoot and fix common dishwasher issues, if your dishwasher still isn’t functioning properly, it’s time to give us a call at Air Nation. We offer a 100 percent guarantee on all of our appliance repairs and replacements, so don’t hesitate to call! What Appliance do you need help with?